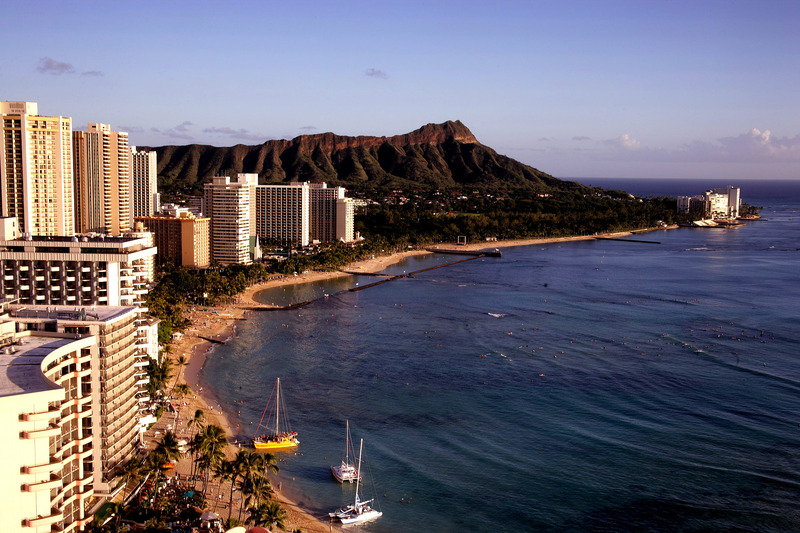 Oahu – A view of the world famous Waikiki Beach. 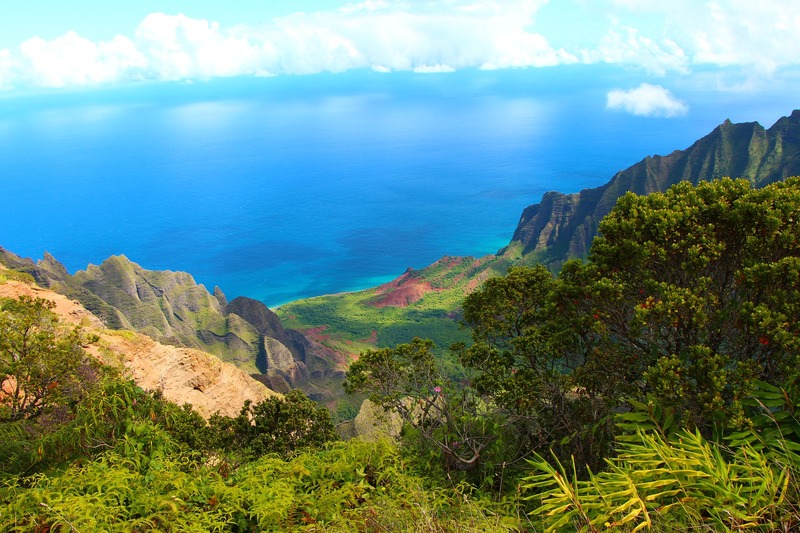 Kaua’i – The view from the Kalalau Lookout of the start of the Na Pali coast, beyond and to the right. 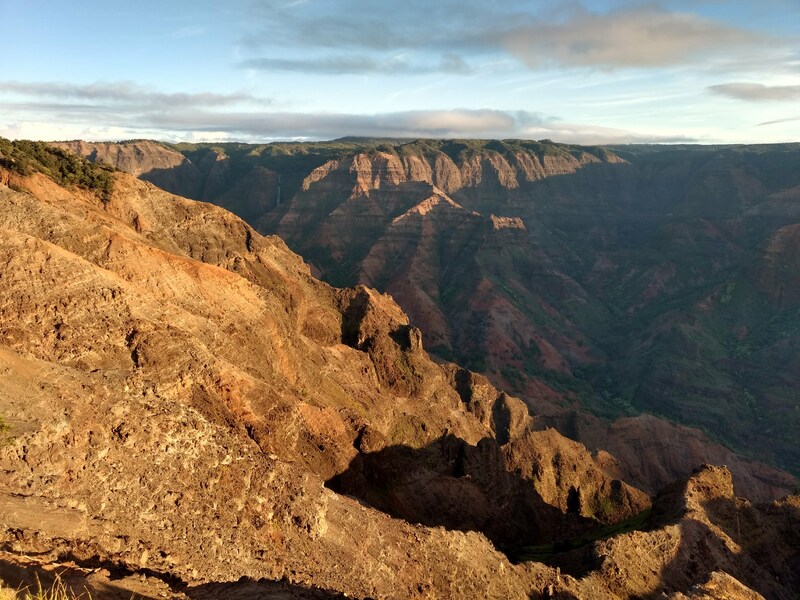 Kaua’i – A view of Waimea Canyon; the “Grand Canyon of the Pacific”.